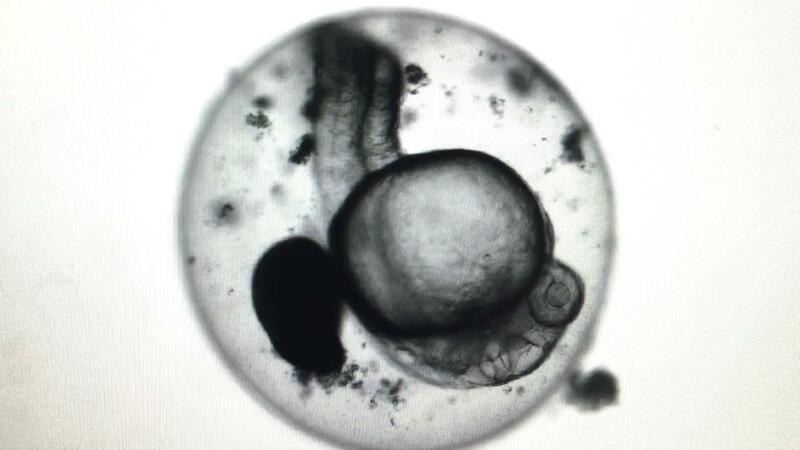 This image illustrates the first-ever reproducible evidence for the successful cryopreservation of zebrafish embryos. The study uses new gold nanotechnology and lasers to thaw the embryo—the stumbling block in previous studies, and it has profound implications for human health, wildlife conservation and aquaculture. Human health researchers use zebrafish—which have a genome similar to that of humans—as important disease models to study melanoma, heart disease and blood disorders, among other health issues. Because the embryos of other aquatic animals—fish, amphibians and coral—are very similar to those of zebrafish, this technology is directly applicable to the cryopreservation of many species’ embryos. For more than 60 years, researchers have tried to successfully cryopreserve (or freeze) the embryo of zebrafish, a species that is an important medical model for human health. In a paper published July 13, 2017 in ACS Nano, the Smithsonian Conservation Biology Institute (SCBI) and University of Minnesota provide the first-ever reproducible evidence for the successful cryopreservation of zebrafish embryos. The study uses new gold nanotechnology and lasers to thaw the embryo—the stumbling block in previous studies, and it has profound implications for human health, wildlife conservation and aquaculture. By freezing sperm, eggs and embryos, conservationists can safeguard at-risk species and their genetic diversity, making it possible to bolster the genetic pool and therefore health of wild populations years—or even centuries—later. Although scientists have successfully cryopreserved the embryos of many mammal species and the sperm of many species of fish, freezing fish embryos proved infinitely more complicated. Enter laser gold nanotechnology, a rapidly growing technological field critical for the success of the study that has a wide variety of biomedical applications. Laser gold nanotechnology was first used for cryopreservation by the paper’s senior author John Bischof at the University of Minnesota Mechanical Engineering Department. Gold nanorods are tiny cylinders of gold that convert absorbed light (from a laser, for example) into heat. The study’s authors injected the cryoprotectant and nanogold particles into the embryos. The gold particles transferred heat uniformly throughout the embryo when hit with a laser, speeding up the warming process and, in combination with the cryoprotectant, preventing the formation of lethal ice crystals. Embryos that underwent this process went on to develop at least to the 24-hour stage where they developed a heart, gills, tail musculature and moved—proving their post-thaw viability. The study’s authors next aim to fine-tune the process to ensure that they can increase the survival rate of the embryos. They will also investigate the use of automation to bolster how many embryos they can successfully thaw at once. Because the embryos of other aquatic animals—fish, amphibians and coral—are very similar to those of zebrafish, this technology is directly applicable to the cryopreservation of many species’ embryos. The technology may also be customized to cryopreserve reptile and bird embryos and enhance the process of cryopreserving mammalian embryos, including giant pandas and large cats. In addition, the technology can help aquaculture farms become more efficient and cost effective, putting less pressure on wild populations. 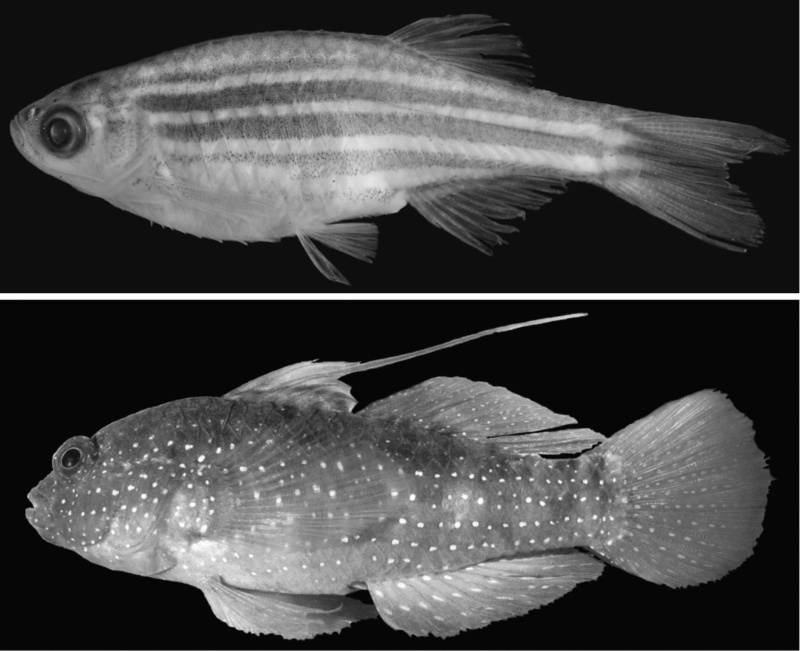 Human health researchers use zebrafish—which have a genome similar to that of humans—as important disease models to study melanoma, heart disease and blood disorders, among other health issues. Cryopreserved zebrafish embryos will prevent the scientists from losing entire research lines and will give them the flexibility to bring the lines back as needed. Additional authors on this paper are University of Minnesota doctoral students Kanav Khosla and Yiru Wang and former University of Minnesota doctoral student Zhenpeng Qin at the University of Minnesota at Twin Cities.